Effective cooperation has been established in this direction with the border and law enforcement agencies of the neighbouring States, as well as international security institutions, in particular with the European border and coast guard Agency (FRONTEX) and the EU missions. It gives an opportunity to carry out joint special border operations, participate in joint activities under the coordination of FRONTEX Agency, jointly patrol the border with the EU and Moldova and extend joint control. 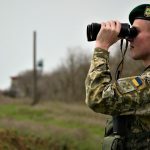 It is worth noting that only last year the border Agency of Ukraine took part in 10 joint operations of the European Agency FRONTEX both on the territory of Ukraine and on the land, sea and air borders of the EU member States and on the common border of Ukraine and the EU. The cooperation in this direction continues. Operation “Key points” in the air areas is in the list of included ones. In Ukraine, it covers the capital airports and airports of Odessa and Lviv. As part of the operation, the experts from the border agencies of Poland, the Republic of Lithuania and Italy are now at Boryspil and Kiev airports as observers. The active phase will last until December of this year. Before that, the representatives of Bulgaria, Slovakia, the Czech Republic and others have already visited different airports. Together with the European representatives, the existing system of information exchange regarding the early detection of new forms and methods of illegal migration to the EU countries is being supported and improved. At the same time, the coordinated joint local actions are to be an important factor that reduces the number of violation attempts. 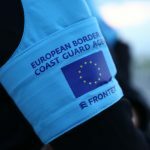 It should be noted that FRONTEX promotes, coordinates and develops the management of European borders applying the concept of Integrated border management. Every year, the state border service takes an active part in joint operations and training projects and ensures the exchange of information and implements joint risk analysis. According to experts of the state border service, FRONTEX Agency is a platform for the exchange of experience, obtaining new knowledge and skills, and most importantly – to strengthen border security on common borders. This entry was posted in Translated Media-News from Ukraine and tagged cooperation, FRONTEX, Ukraine on October 24, 2018 by oksana. In the course of 4 months of the operaton the staff of State Border Guard Service together with the representatives of other interacting agencies apprehended 175 illegal migrants, did not pass more than 1000 potential migrants through the state border and revealed more than 2 000 offenders of the state border and fronties regime. It will be recalled that operation “Border-2018” is performed at the initiative and under the supervision of the SBGS. It is focused on decreasing the level of unlawful activity at the border, including counteraction to illegal migration, illegal transportation of goods, etc. Together with the subdivisions of Border Deparmtent there are also involved other representatives of counteraction structures, AFU and border departments of the neighboring countries, in particular, Poland, Slovakia, Hungary, Romania and Moldova, and international organizations, namely FRONTEX, EUBAM, INTERPOL, EUROPOL. This entry was posted in Translated Media-News from Ukraine and tagged border, EUBAM, EUROPOL, FRONTEX, INTERPOL, migration, operaton, potential migrants on July 24, 2018 by oksana.